Start taking classes at Atherial - Yoga, Barre and Aerial Fitness and other studios! Welcome to Denver's Local Yoga, Barre, & Aerial Fitness Studio! We are nestled right in the middle of RiNO, LoHi, Highlands and Sunnyside neighborhoods. Here at Atherial, our Flight Instructors will help you leave your comfort zone and embark on a mind-body journey. Our studio provides a safe environment for you to feel EMPOWERED, CONFIDENT, and PLAYFUL. Classes range from traditional Yoga mat classes to Aerial Yoga, Dance, Barre and Fitness classes. 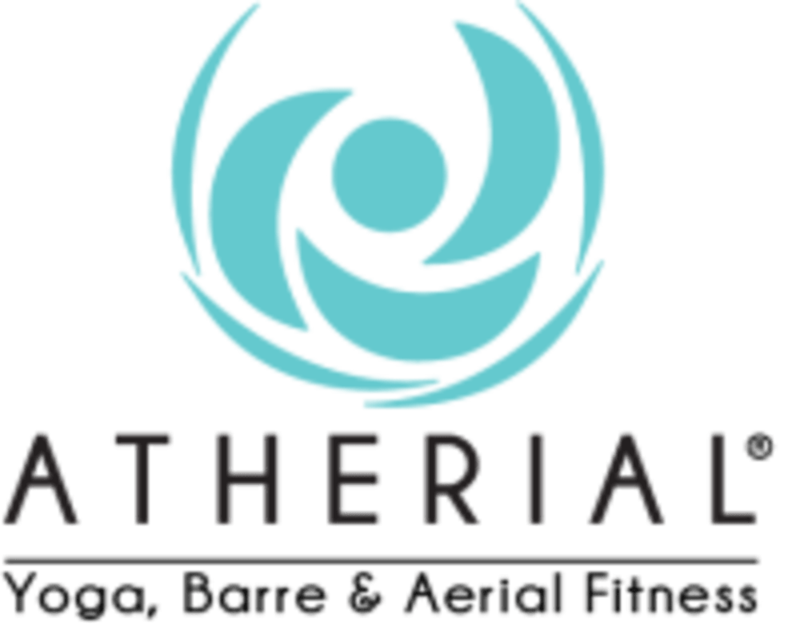 Atherial's community are people who are: Aerial Fitness Adventurous, Creatives-Movement Enthusiasts, seeking community of FUN. After class, take a seat, chat with our friendly community, enjoy a complimentary cup of tea! Or book a private party Aerial Yoga Class with us as we guarantee a party of FUN! Eat at least 1.5 hours before class. Aerial Restore & Meditation Classes: Wear comfortable clothing, bring a mat and water. Aerial Flow, Dance, Barre, HiiT Classes: Wear snug fitted clothing, bring a mat and water. Bring something to take pictures AFTER class. We WANT you to take pictures of your progress in poses as you will see what a difference our practice makes! If you do not bring a mat, they have mats to rent for $2.00. We are the 38th and Park Ave exit off of Interstate 25. 39th & Fox Street - Atherial next door to The Crafty Fox. Parking is located on Fox Street. Continue through the 39th and Fox Street intersection. The parking is located on the north side of the building in the gravel lot. Please arrive 15 minutes early to set up for class. Very welcoming and positive, unfortunately I got a little nauseous during it but otherwise good experience. The movement was nice and the instructor had great explanations on how to get through the different moves. However as a new student I was surprised there was no welcoming or introduction to the studio. The woman at the front desk didn’t say hello or make eye contact when I mentioned I’m new and wanted to check in. I liked the class but it was missing that warm, community feel that I seek in studios I frequent. lovely, friendly studio. the class was very basic, best for true beginners. wish there was a little more space between hammocks for such a full class. Class was disorganized and it was unclear where to sign in/place your mat. The teacher demoed the moves but then didn’t provide corrections at all. Also the class involves barely any aerial silk work, I feel like this should be clearer in the description. I was expecting more exercise with silks,but in general very nice studio! Brittanie was so amazing and led a great class with her relaxing voice and words. Can’t wait to come back! First time using the hammock and she was very helpful! And great music!